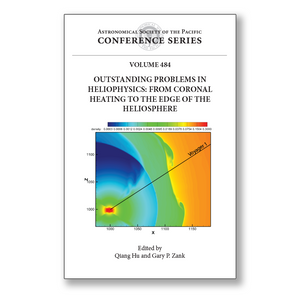 Editor(s): Hu Q.; Zank G. P.
This volume contains the proceedings of the 12th Annual International Astrophysics Conference, one of the signature series of conferences in Heliophysics and Astrophysics organized by the Center for Space Plasma and Aeronomic Research at the University of Alabama in Huntsville. The meeting attracted more than 80 participants from around the world. The topics presented at the meeting ranged from coronal heating near the Sun to plasma conditions in the distant heliosphere and the surrounding interstellar medium. The conference was especially timely given the many unexpected results recently returned by current NASA spacecraft missions including Voyager and the Interstellar Boundary EXplorer (IBEX), and the high expectations for future missions such as Solar Probe Plus (SPP) and Solar Orbiter. This volume will be of interest to researchers at all levels in the fields of heliophysics. It exposes readers to an in-depth analysis of a wide range of outstanding problems in heliophysics that we face today using both theoretical and observational approaches.